Keep your drinks cooler than ice with this Zuiver Be Cool Drinks Cooler. The perfect accessory for summer, this ice chest will keep all of your beverages ice cold when you have guests over for a weekend BBQ or invite the neighbours over for dinner. No electricity required, just throw in a bag of ice and your chosen beverages and wheel it to wherever you can easily access it. 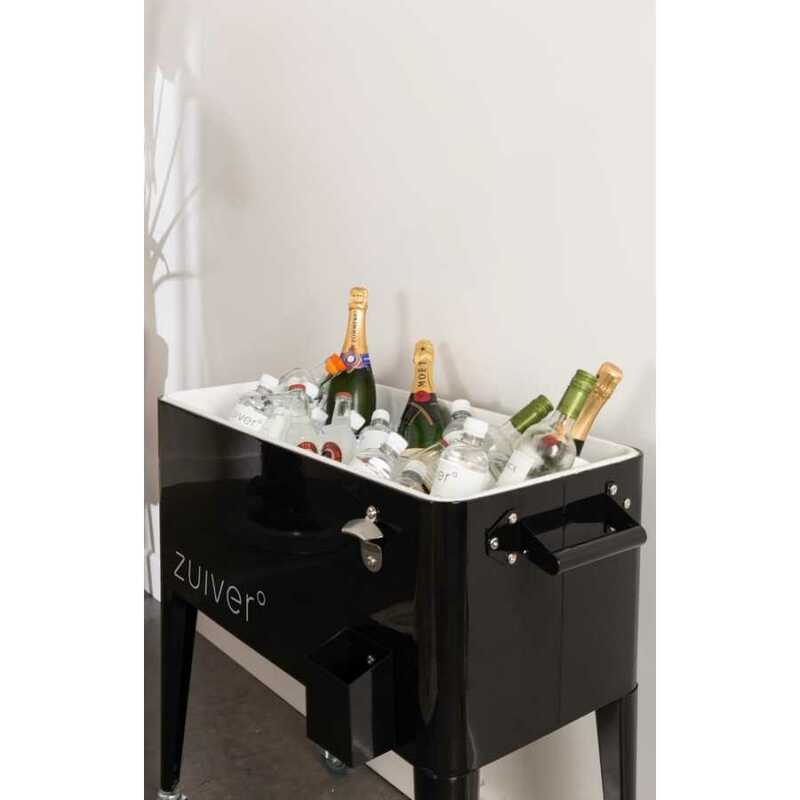 Your drinks will be ice cold within minutes and you wont have to worry about a bottle opener because the Zuiver Be Cool Drinks Cooler has one built in to the side. 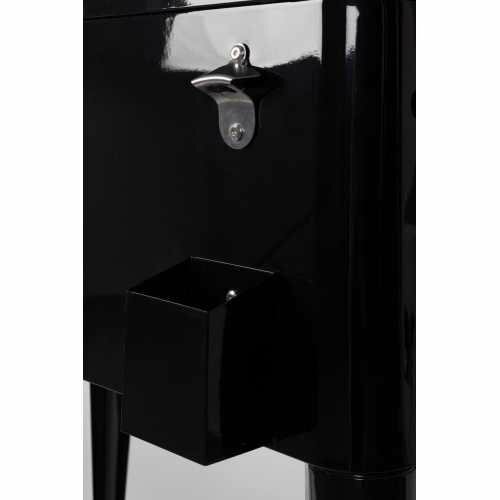 Available in black the Be Cool Drink Cooler (91cm Width x 39cm Depth x 84.5cm Height) has a maximum capacity of 70 litres and can take a maximum weight load of 55kg. 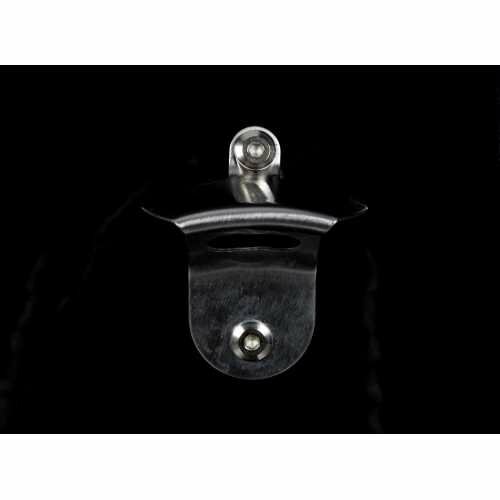 The iron sheet covering and legs are finished with a black coated powder, as are the built in bottle opener and cap catcher. 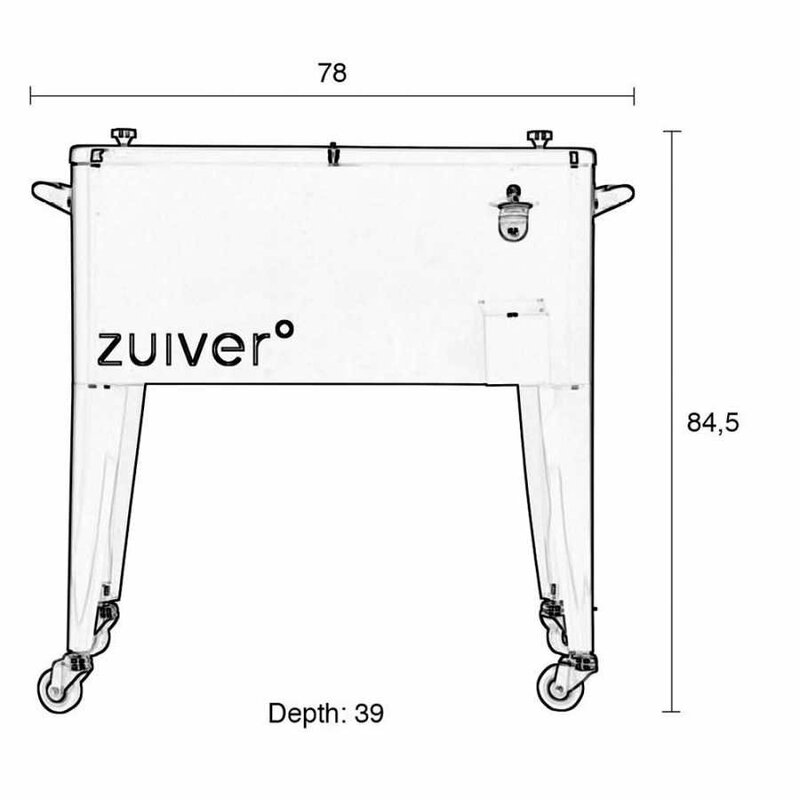 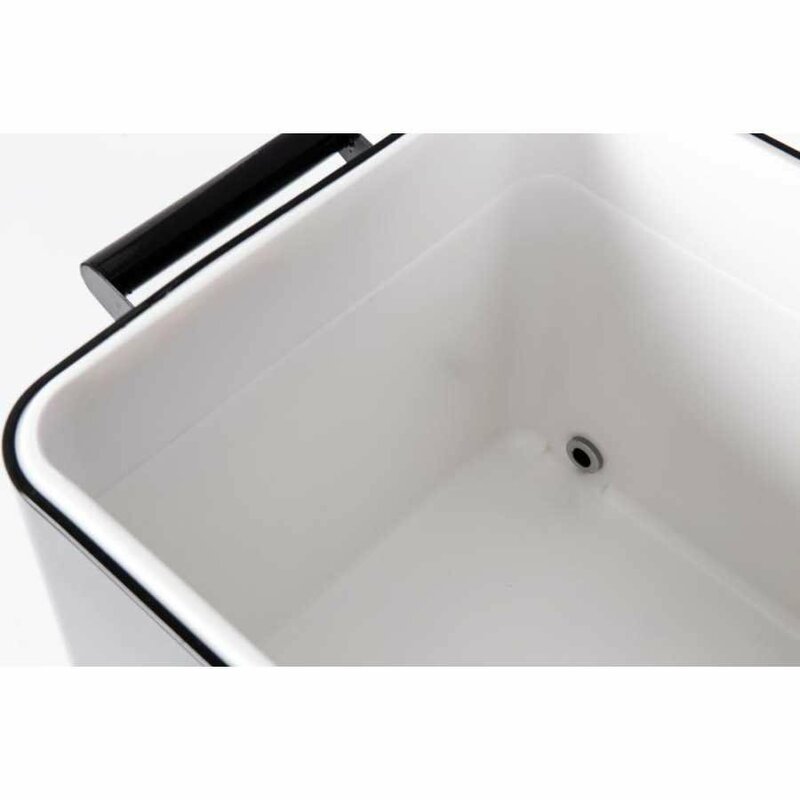 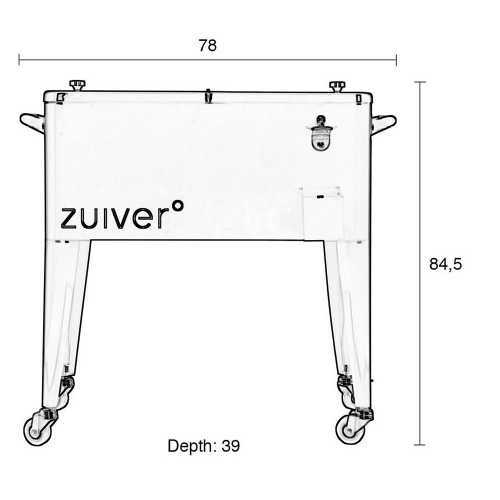 The Cooler itself (78cm Width x 39cm Depth x 35.5cm Height) is made from white polypropylene with PU-foam PVC and iron castors, on of which has a lock. 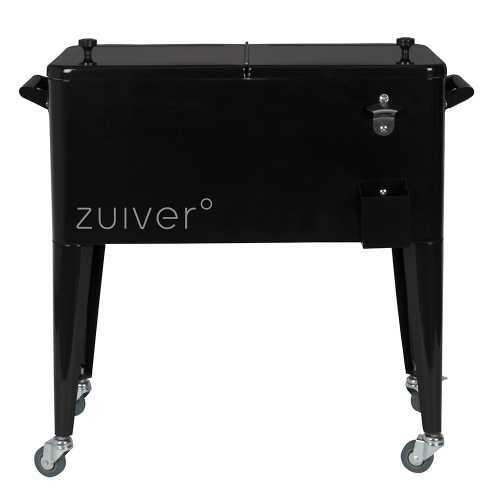 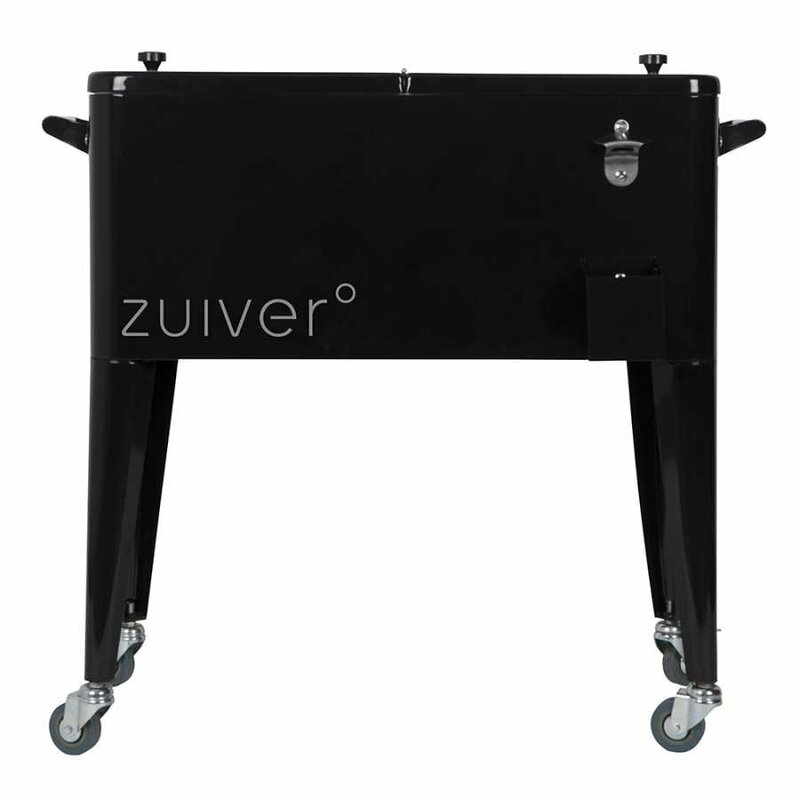 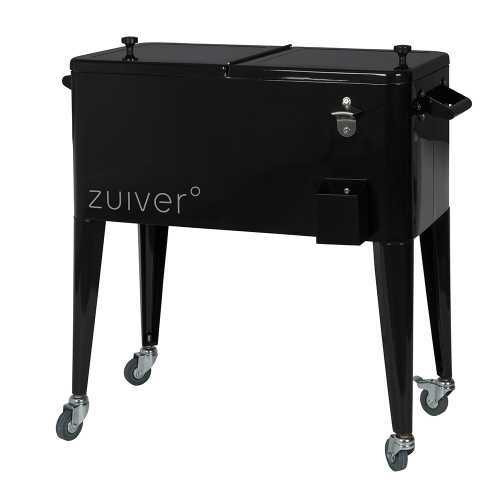 The Zuiver Be Cool Drinks Cooler also comes with the options of handles.